Map showing the route of the Havenstreet Steam Railway. 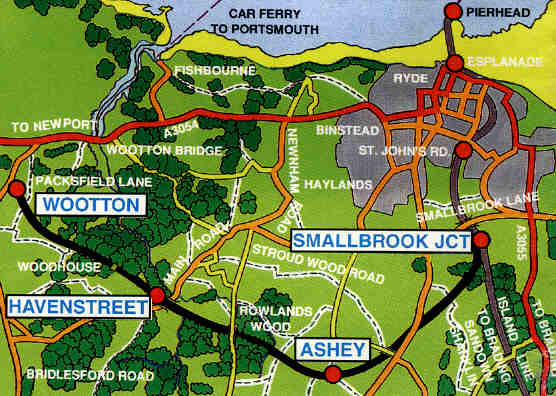 This railway uses part of the old route between Ryde and Newport. Great value and a great day out! Click on the cassette cover above for a short audio clip of a Ryde Pier Head station announcement in the steam era - also sound of an Adams 02 tank engine pulling out of Ryde St. John's Station. 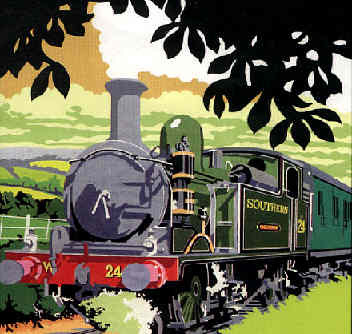 This tape can be purchased at Havenstreet steam railway.